Kyoko Mori, an associate professor at George Mason University, has published a book of essays (Polite Lies), a memoir (The Dream of Water), and three novels (Stone Field, True Arrow; One Bird; Shizuko’s Daughter). 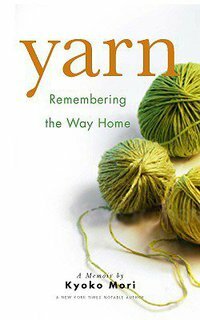 Yarn: Remembering the Way Home, was published in November 2009. Her essays and short stories have appeared in journals such as The American Sch…olar, The Missouri Review, Harvard Review, and The Kenyon Review, and in the anthology DIRT: The Quirks, Habits and Passions of Keeping House. Mori holds a Ph.D. in English/Creative Writing from the University of Wisconsin-Milwaukee. Debrah Morkun’s first full length book of poetry, Projection Machine, was released by BlazeVox Books in April 2010. She lives in Philadelphia where she is a founding member of The New Philadelphia Poets and curates the Jubilant Thicket Literary Series. Visit Debrah at www.debrahmorkun.com . Tania James was raised in Louisville, Kentucky. Her debut novel Atlas of Unknowns was shortlisted for the DSC Prize for South Asian Literature, and was a San Francisco Chronicle Best Book of the Year. Her work has appeared in One Story magazine, the New York Times, and Guernica, among other publications. She lives in Washington DC and teaches creative writing at George Washington University. You’d have to be some kind of idiot not to come.